Present something different, fun, and healthy to your clients and guests. 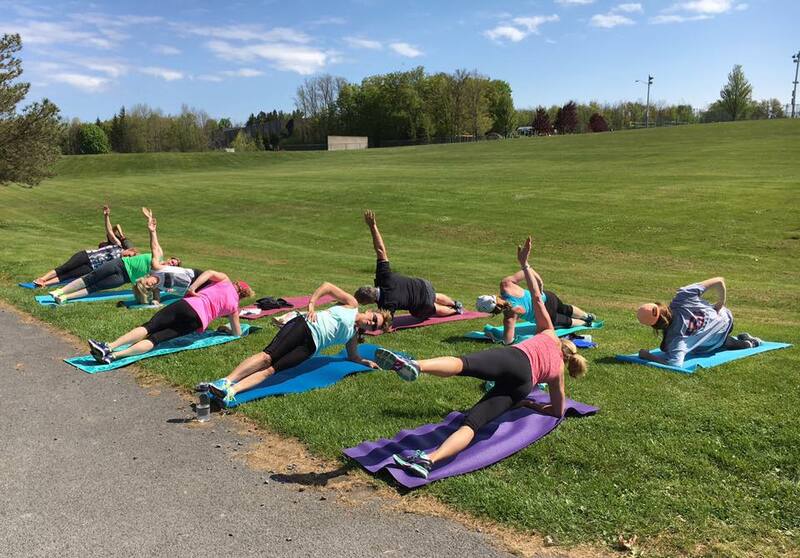 We can instruct cardio, boot camp, Pilates, Yoga and many more classes for indoor or outdoor events! These programs are perfect for a bridal parties, birthday parties, family reunions, overnight guests, corporate outings and local sports teams to name a few! Programs can be hosted through the Symmetry Wellness Club facility, at a public outdoor space or your own venue space. Symmetry Align & Sky Yoga are hooking up again for an epic night to celebrate this dark and beautiful time of year. Tracy, Erin, Christine and Courtney are leading a BLACK LIGHT POWER YOGA CLASS while you glow and groove with our very own Jessie Brown slingin’ killer beats. Pierce the darkness with your light with white or neon clothes and come ready to be painted as bright as the radiant soul you are! Need motivation to run your first 5K, better your time and improve your form? Join Run Club! Run Club meets every Tuesday at 5:15pm at Symmetry Wellness Club . Training with the Run Club is free of charge and open to all levels. Joining Symmetry's Run Club is a fun way to stay on track with your endurance training and socialize with like minded people! Promoting health and wellness in the workplace can be a great way to boost moral and build team bonding! Studies show that organizing healthy activities in the work-place increase the mental health of employees and creates a better work environment overall, We offer 8 week programs that will give your employees an awesome workout after their work-day, allowing them to de-stress and find convenience in a fitness program. Giving older adults access to a fitness program designed specifically for their needs will increase their stability, balance and activities of daily living. Studies show that older adults who exercise see benefits in disease prevention, management and mood. Symmetry Align has certified instructors knowledgeable in senior fitness who will develop a program that will have your residents feeling more independent and rejuvenated.